What’s hot? Market Harborough on a Saturday night in June, that’s what. 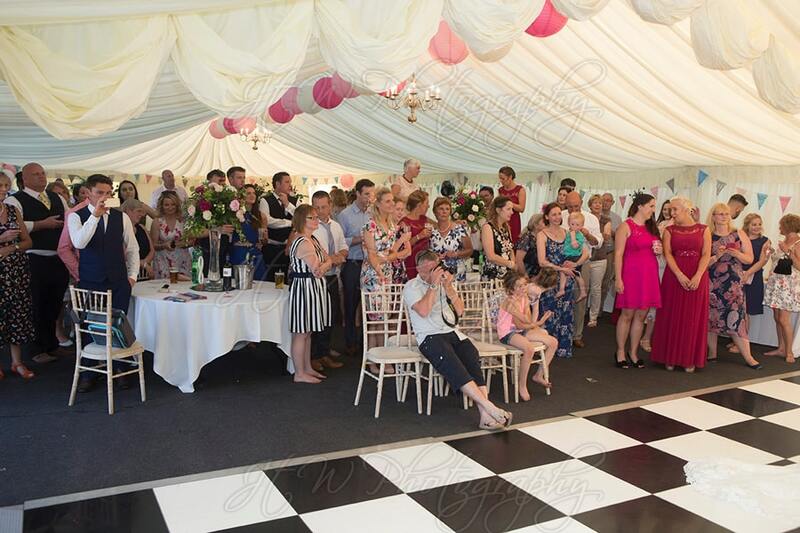 You’d think there would be some respite from the heat given that the wedding reception in question – that of Gemma and Jamie – was held in a marquee with some side openings. But you’d be wrong – our thermometer showed the heat on the dance floor touched 30 degrees. So, a hot summer night in a marquee with plenty of outside seating. Not exactly a recipe for a full dance floor. Who on earth could play music to encourage guests to forgo the cooler outside breezes to sweat themselves silly on the dance floor? We’re glad you asked. Hard to Handle band, that’s who. If you have read some of our other news posts on this website, you’re hopefully forming a good picture of what we’re about – a professional three piece function band with a ridiculously extensive repertoire and a tremendous amount of gigging experience. But even the most experienced bands can sometimes struggle if circumstances out of their control present themselves during the evening. 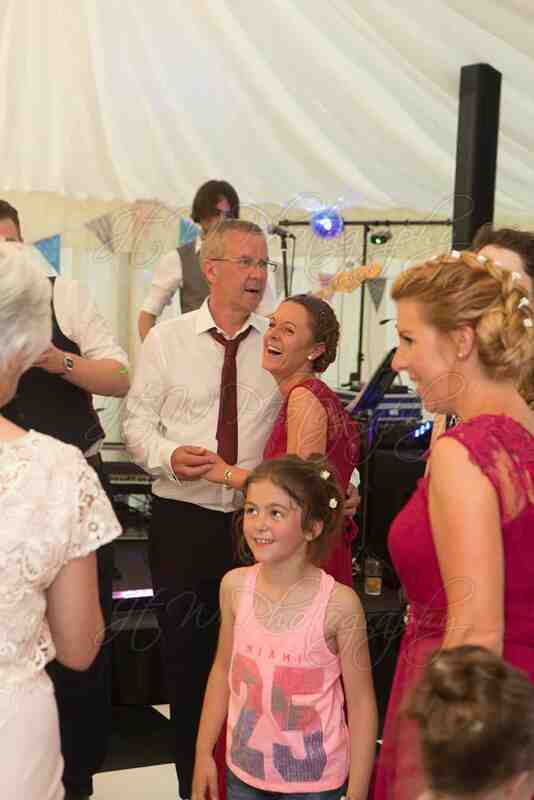 A massive family bust up is always going to be a mood killer of course, but heat can also have quite an effect on a wedding reception. Sometimes people will spend less time on the dance floor and more time in the sun, quenching their first with whatever alcoholic beverage is within arms’ reach. Then, when they actually get onto the dance floor, the combination of heat and booze can lead to some quite sorry sights and some embarrassing morning-after memories. The question is, how does one avoid this? Fortunately, we have the answer – hire Hard to Handle band. From the very first song, we’ll keep your guests one the dance floor, not matter what climatic phenomena present themselves. Every song we play is uptempo, instantly recognisable and dancefloor friendly, with the minimum of “dead air” inbetween songs. We don’t play anything slow (apart from your first dance), obscure or inappropriate, and when you multiply that by 30+ songs, played by three consummate professional entertainers, you’re in for a great nights’ entertainment. So, back to Gemma and Jamie. They hired us back in march after reviewing the videos, MP3s, news items, testimonials and the other information we’ve put together for you on this website and told us that all of this was really helpful in deciding to make a booking. 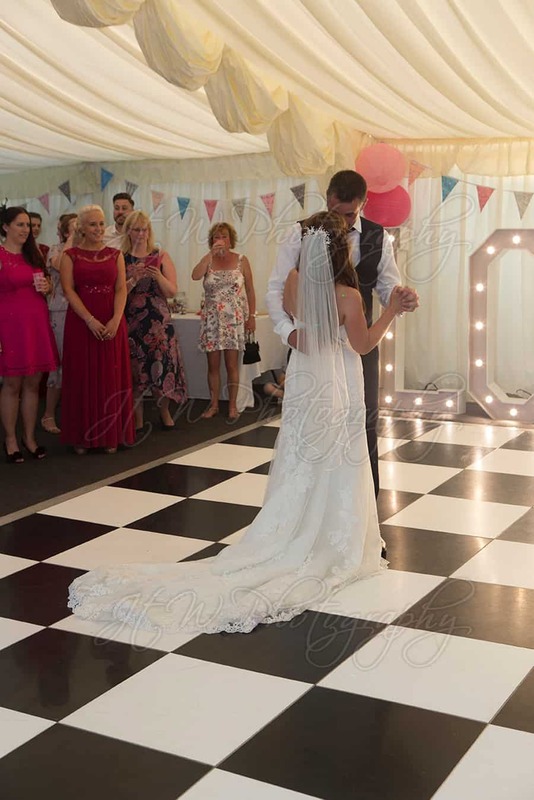 Unlike many other bands we also speak to prospective clients over the phone rather than just sending out pro-forma emails because we prefer the personal touch, and we think the bride and groom appreciated it too. On the day, we set up our equipment quickly, performed a sound check and waited for guests to enter the marquee. Damn, it was hot! We knew that the heat would only rise as we did our thing and got everyone on the dance floor. 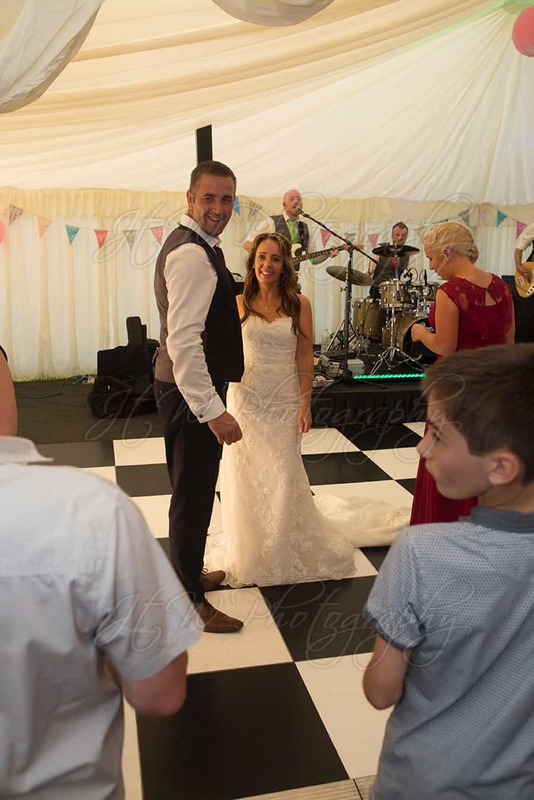 “Just wanted to say a MASSIVE THANK YOU to you and Hard to Handle Band for playing at our wedding. The band was absolutely brilliant!! 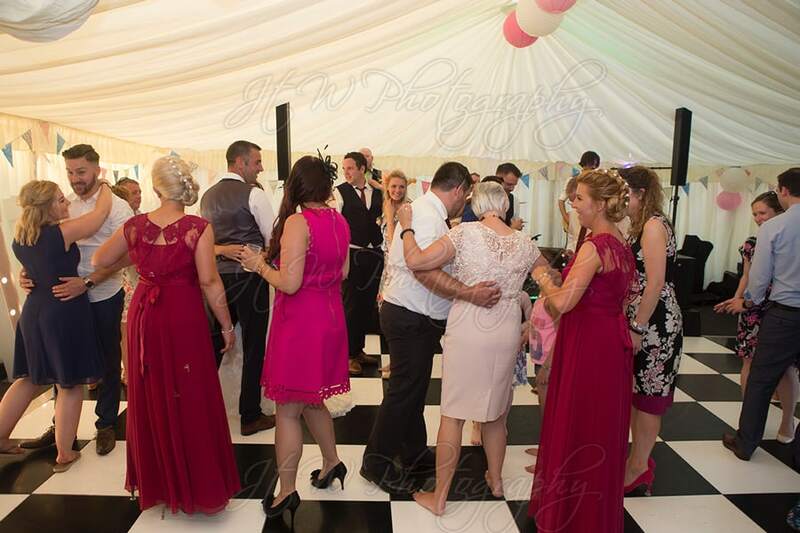 In 30 degree summer heat inside a marquee they had everyone up dancing and the guests literally didn’t want them to stop! We absolutely loved the music and the fact the guys were such great fun and some of the politest people I have ever met – just really lovely guys. Honestly, we can’t thank you enough. Many of our guests were asking after the band and we’ve got some couples getting married next year so I’ve passed your details on and I’d recommend Hard to Handle to anyone. Awesome band!! Isn’t it reassuring to find a band capable of creating such a great atmosphere at a wedding reception, whatever the weather? So if you’re looking for top quality entertainment, get in touch with us direct on 0796 433 5657. We’d love to hear from you!